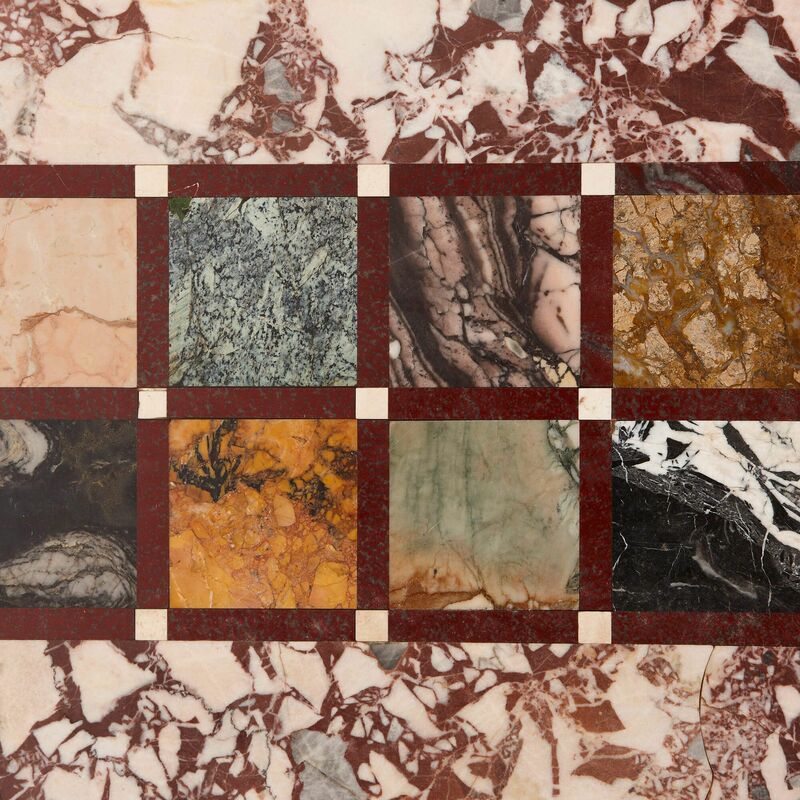 This fine Italian table top features a beautiful array of marble specimens of all colours and varieties, showcasing the wonders of the natural world. 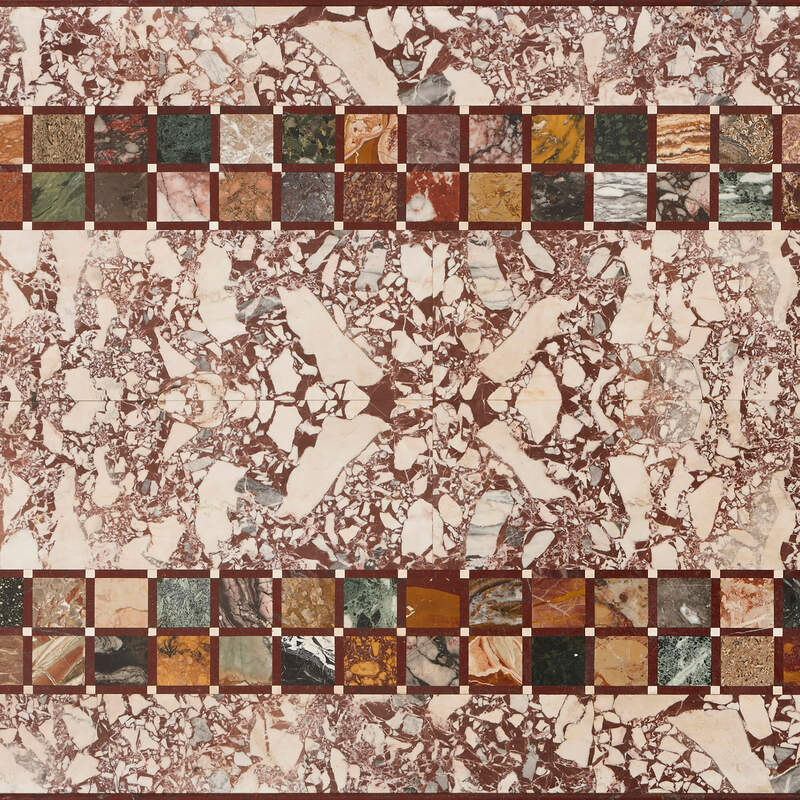 Italy is celebrated internationally for the high quality of its marble products, and this fine marble specimen table top is no exception. 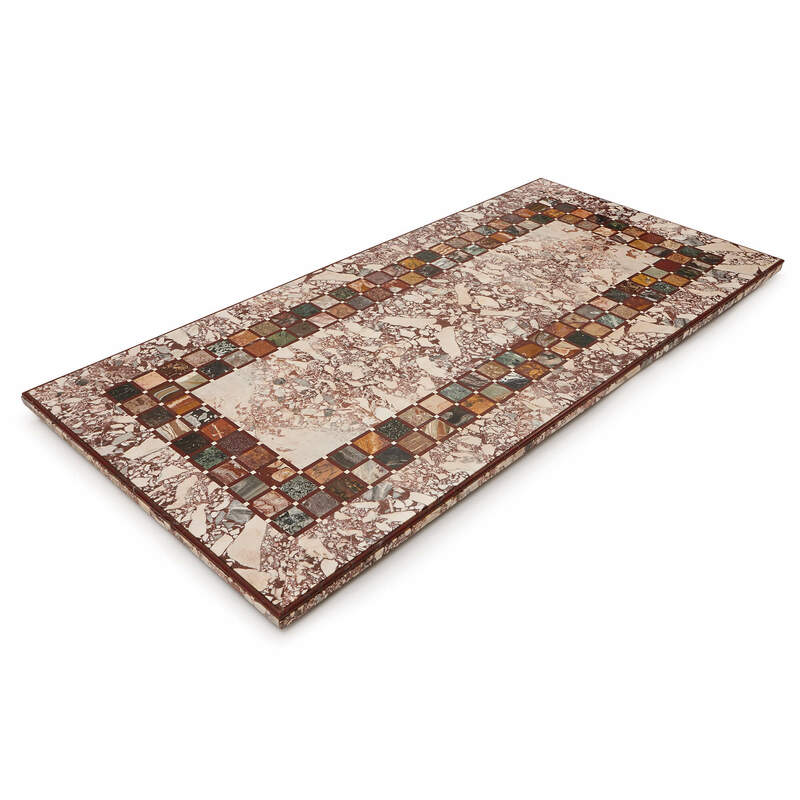 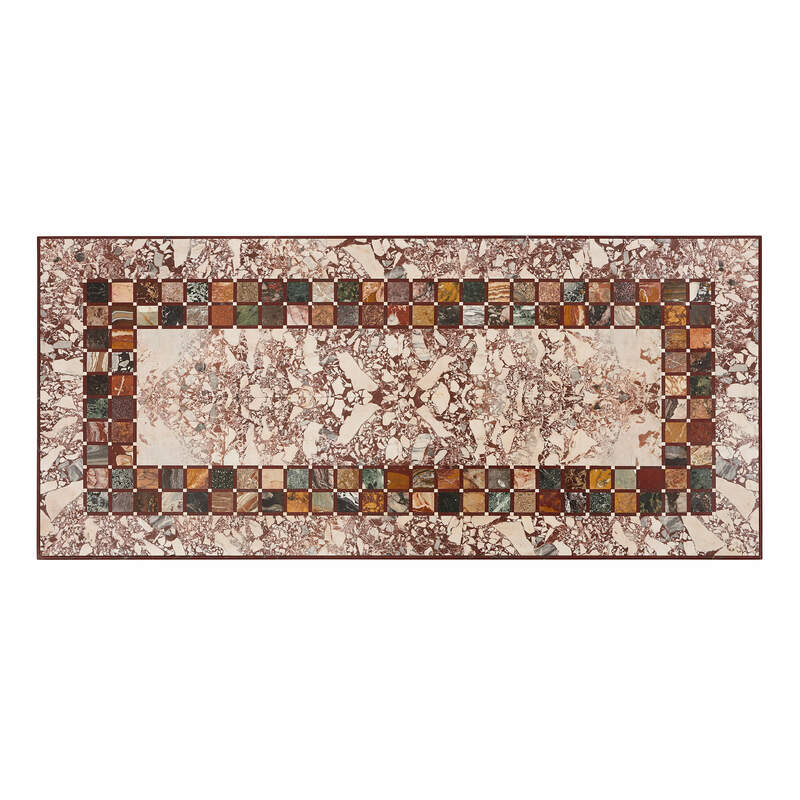 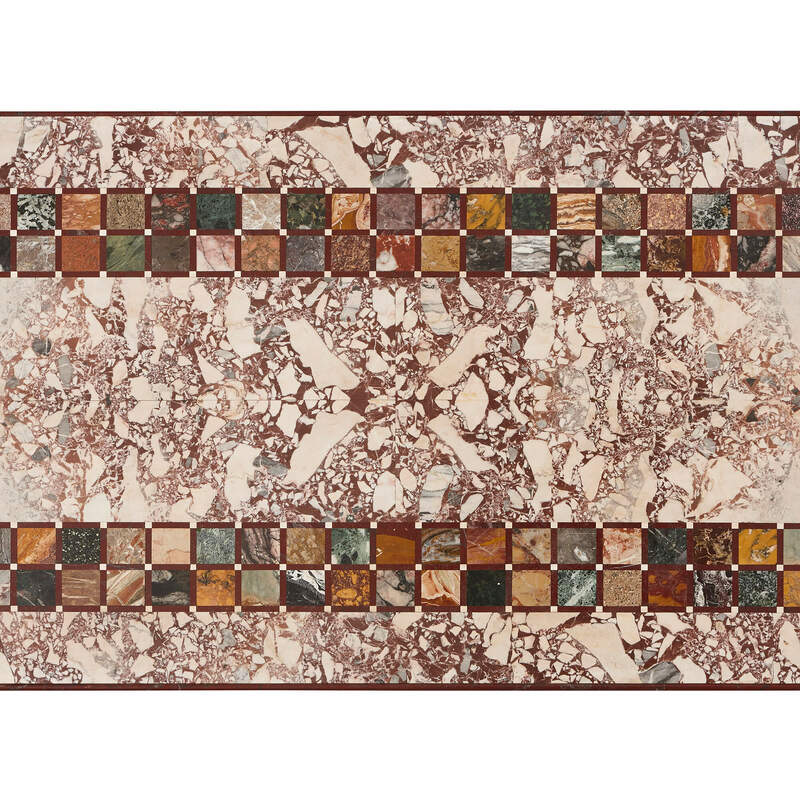 Of rectangular form, the table top is crafted of veined red and white marble, and inlaid with a rectangular interior border that is formed of separately inset square marble stone samples. 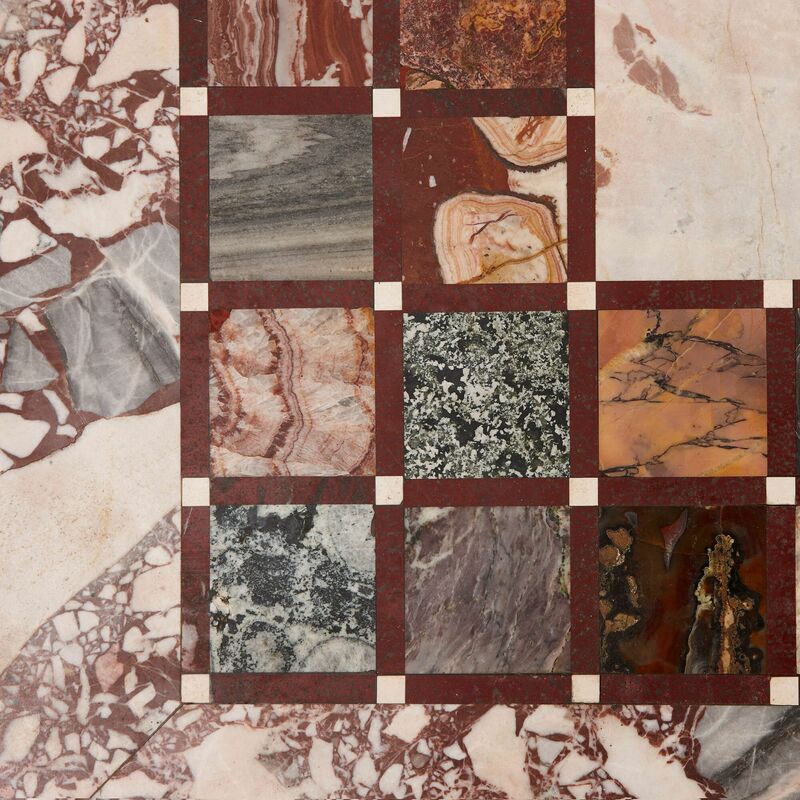 Colours present in the sample marbles include greens, oranges and blues, which all exhibit beautiful banding habits that contrast against the red and white veined marble backing.